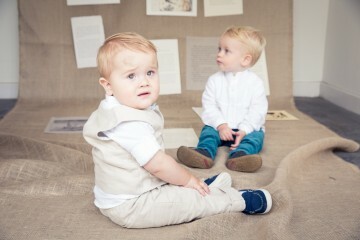 I’m so excited to share our first Little B post! 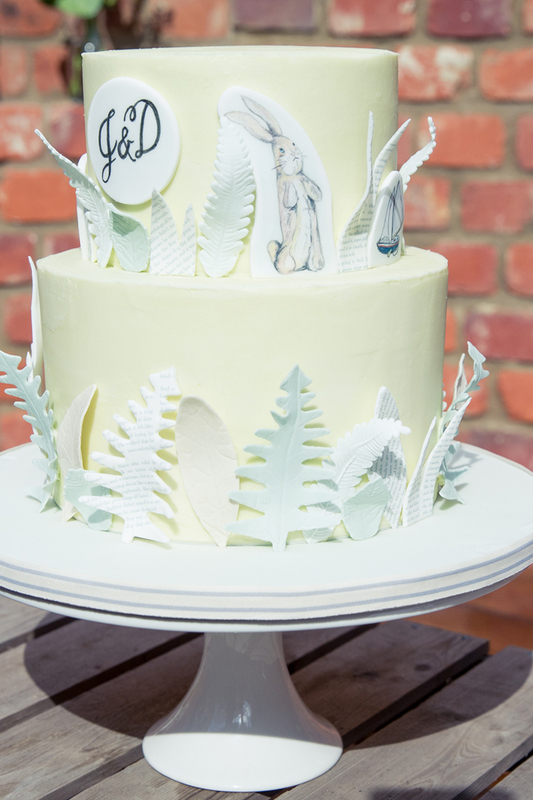 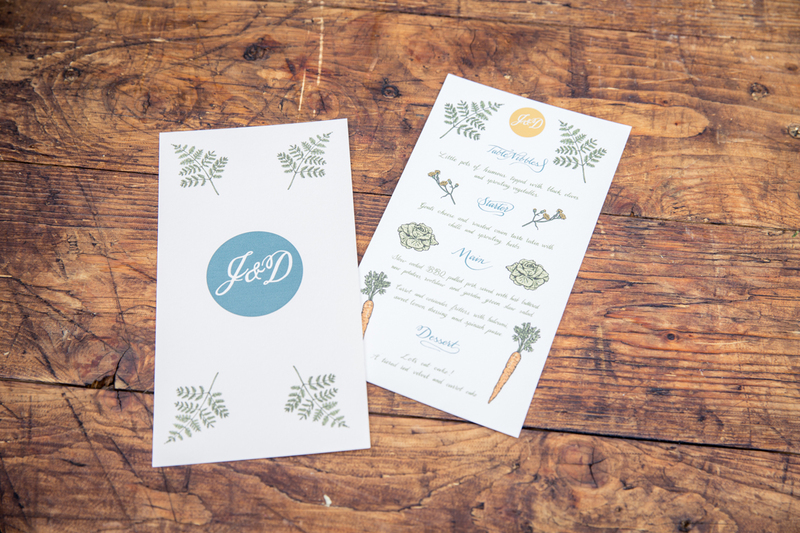 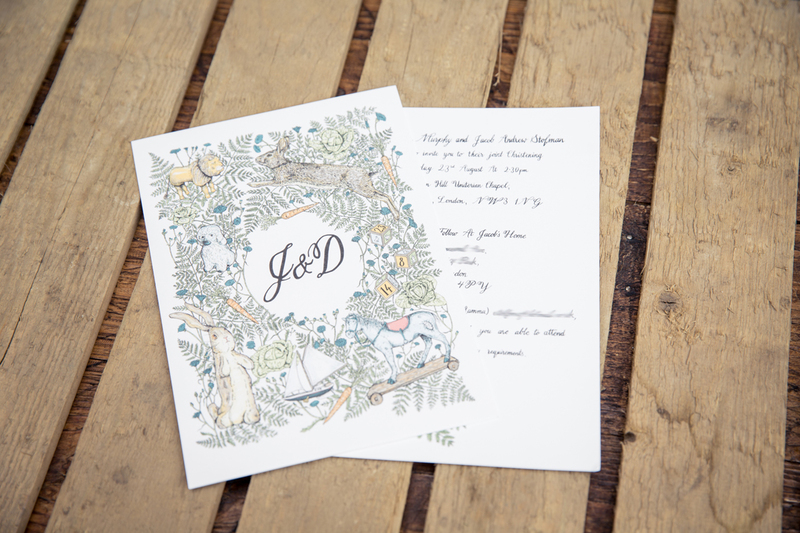 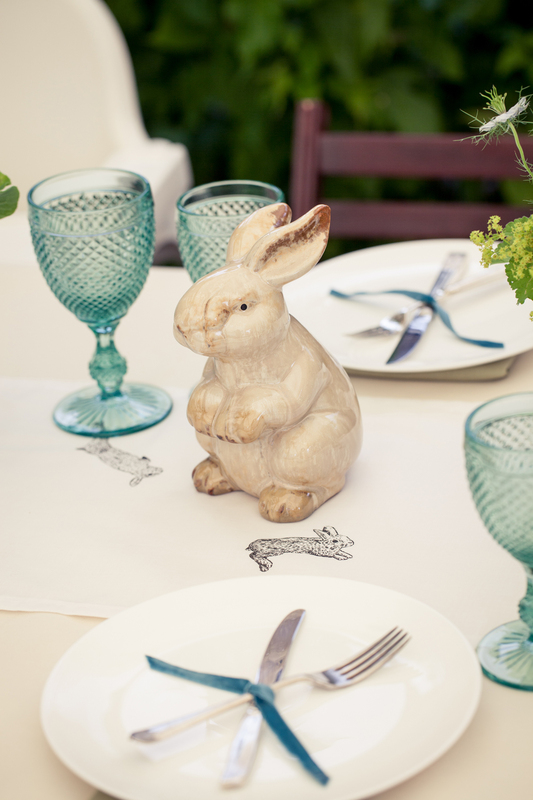 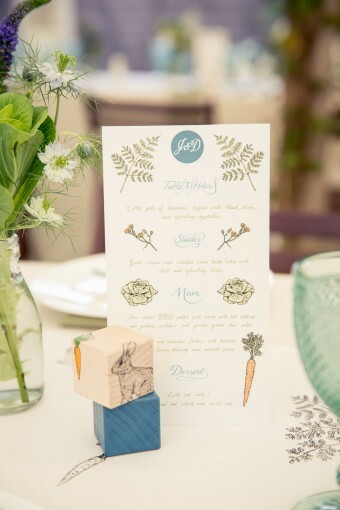 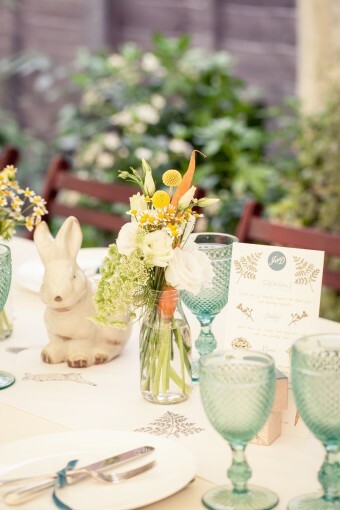 And what better way to kick off our new section than with this beautifully designed and executed ‘Velveteen Rabbit’ inspired christening lunch from Knot & Pop?! 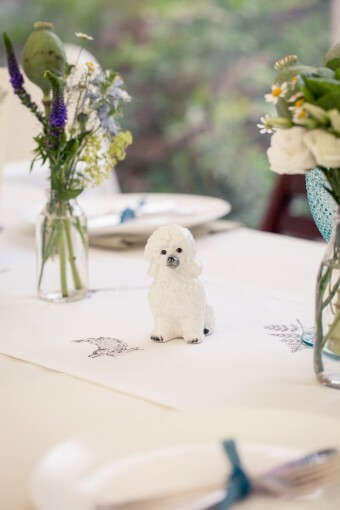 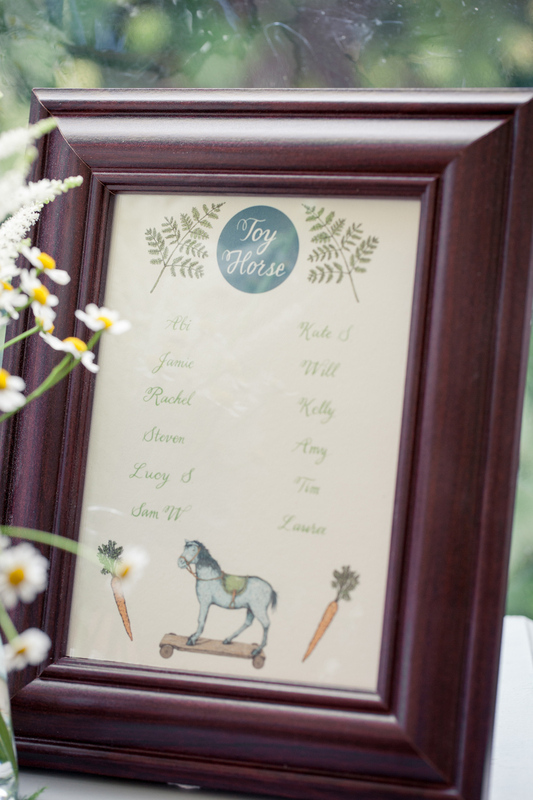 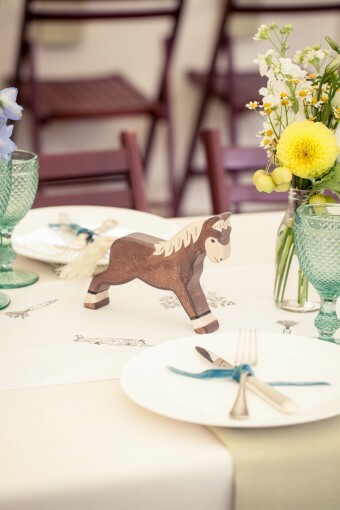 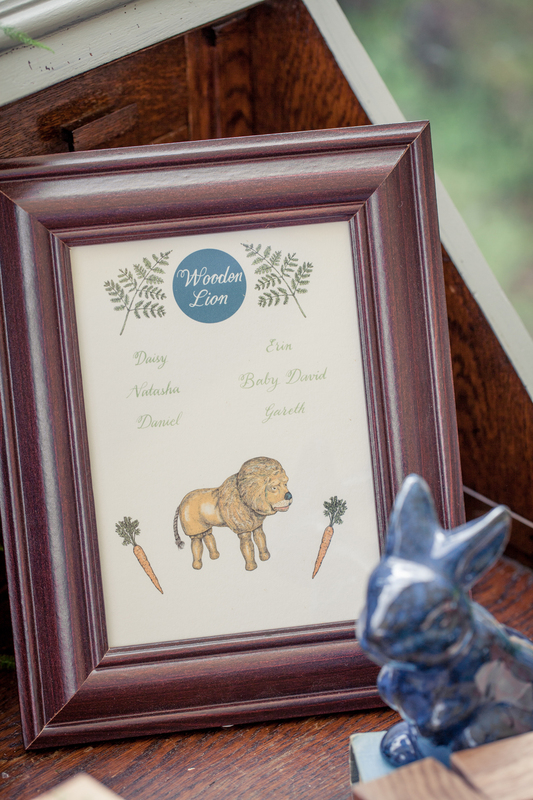 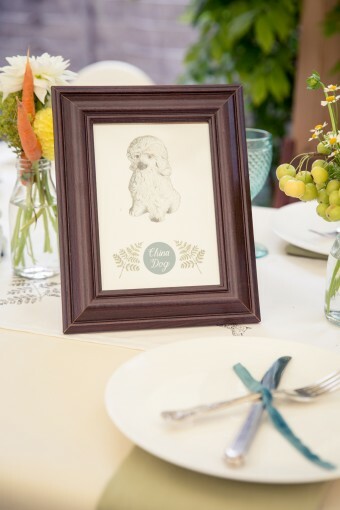 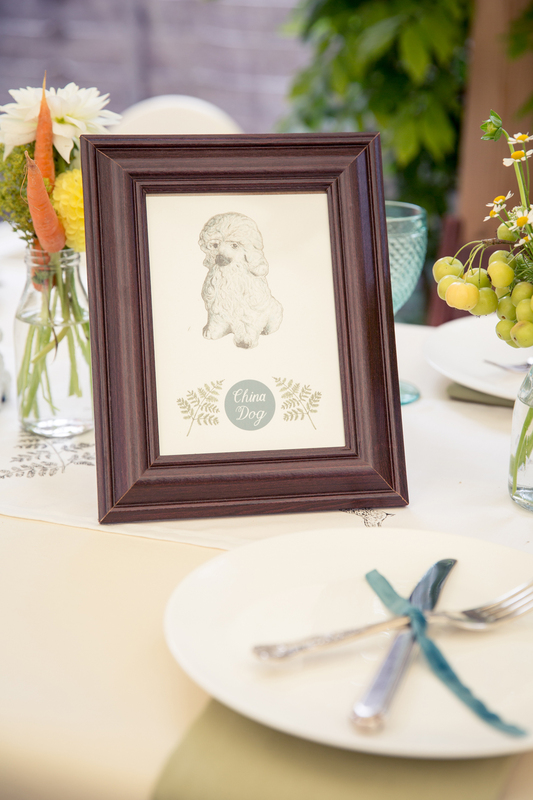 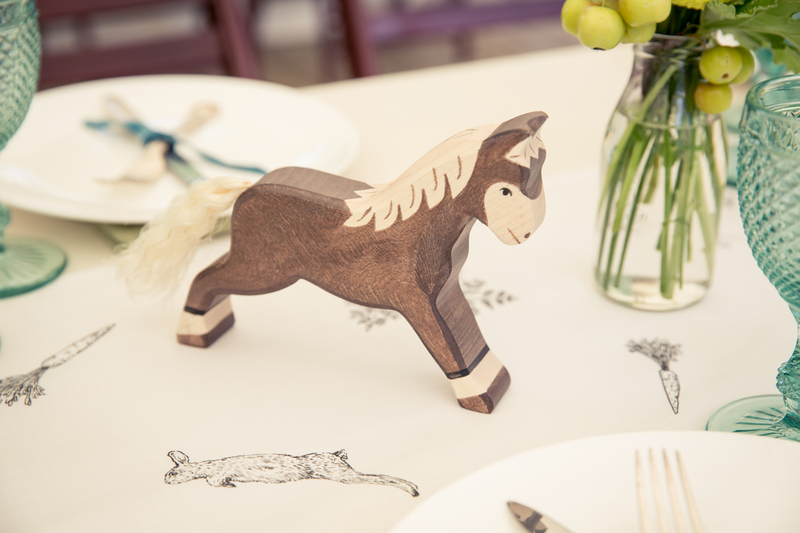 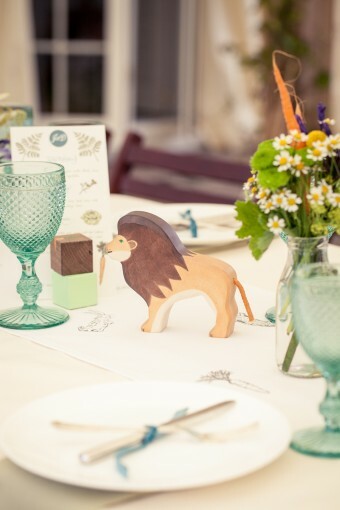 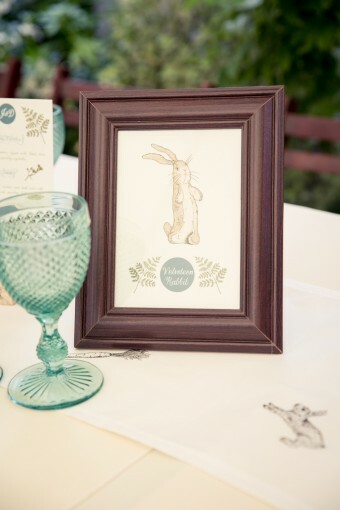 This celebratory luncheon brought the children’s favourite story book to life with characters from the book forming the table plan and table decorations, with a bespoke illustrated table runner, made specially for the occasion. 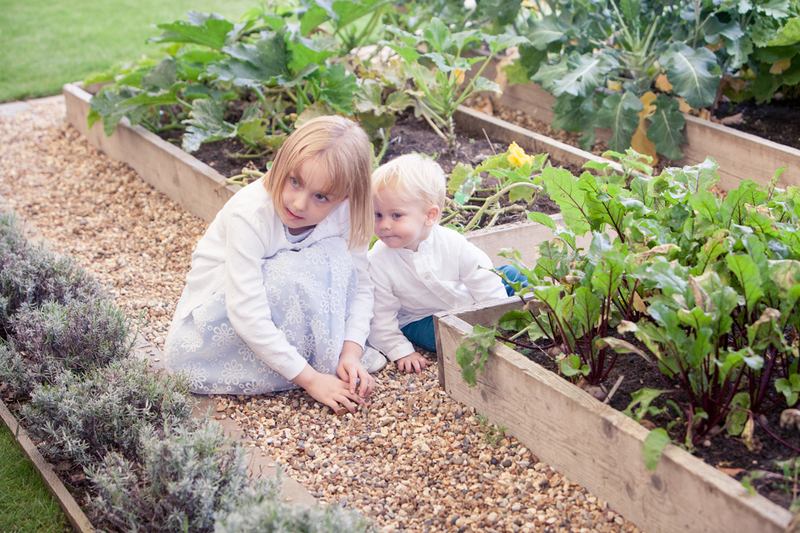 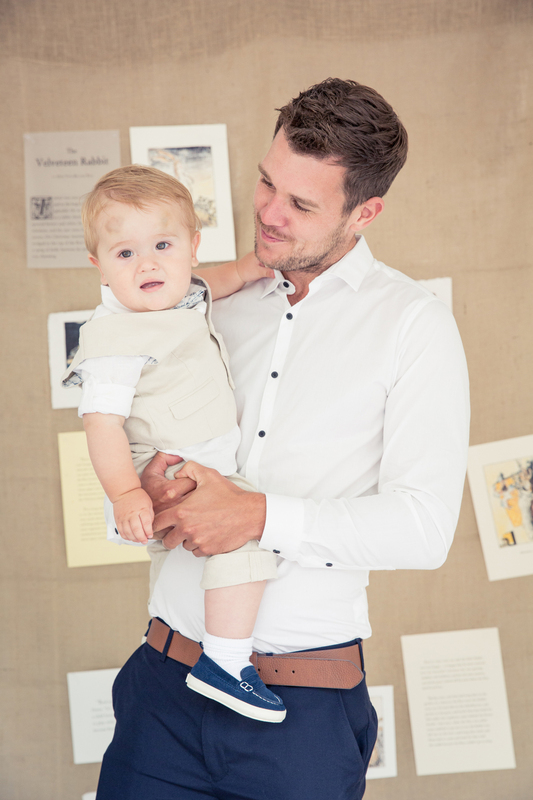 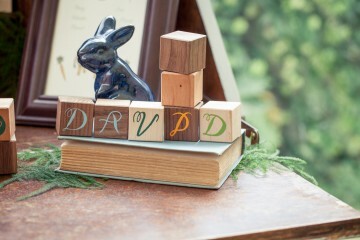 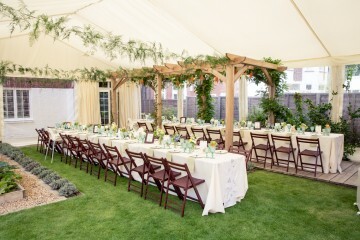 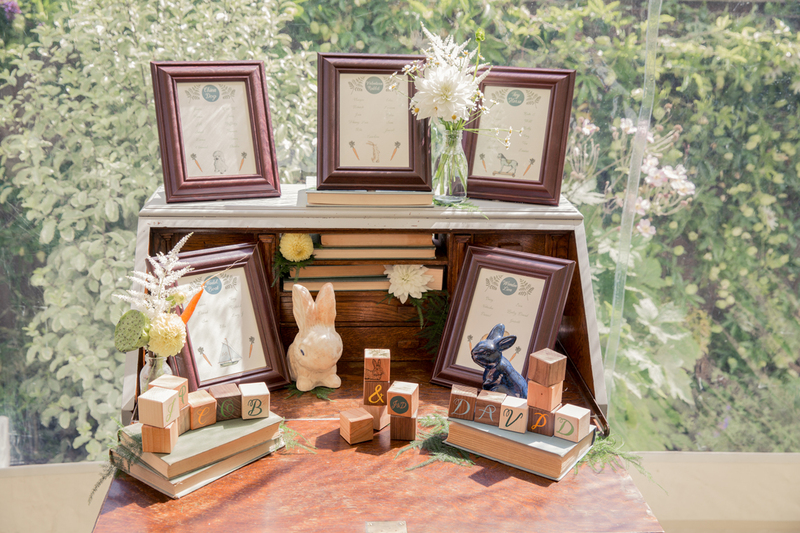 This was a gorgeous celebration to mark a special day for two sisters, their families and their little boys. 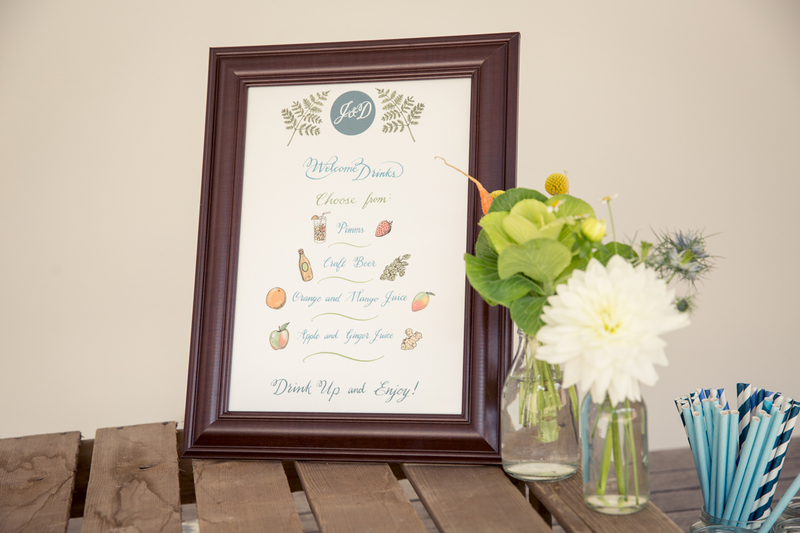 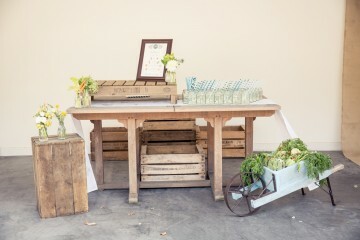 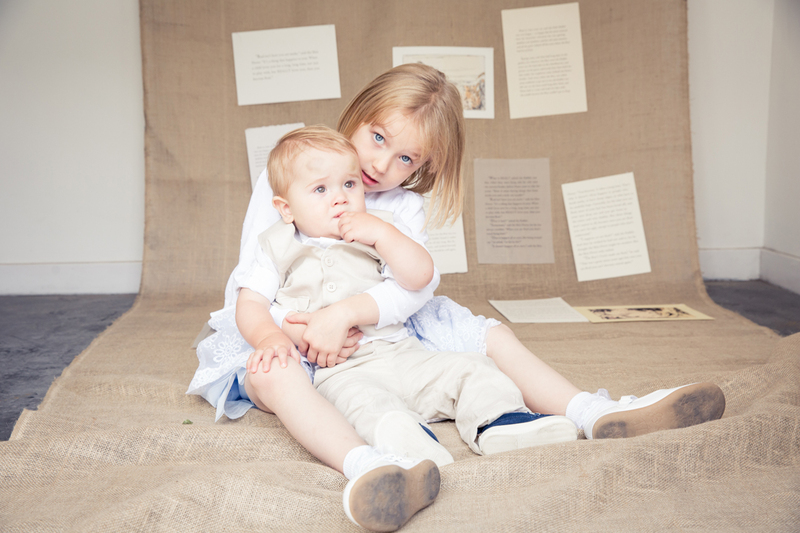 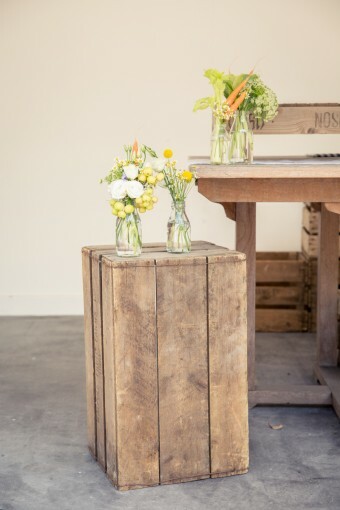 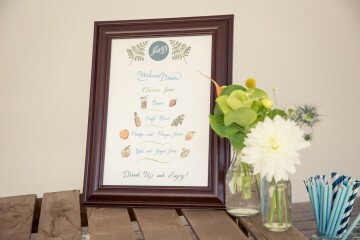 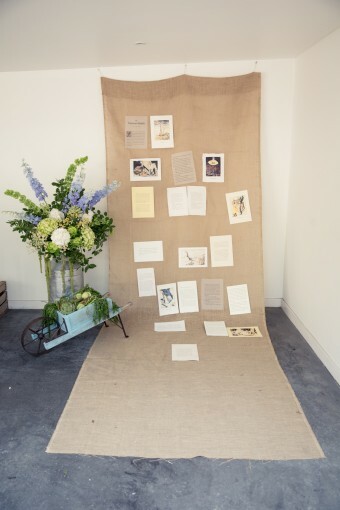 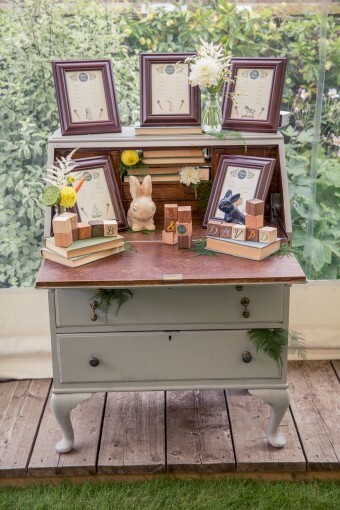 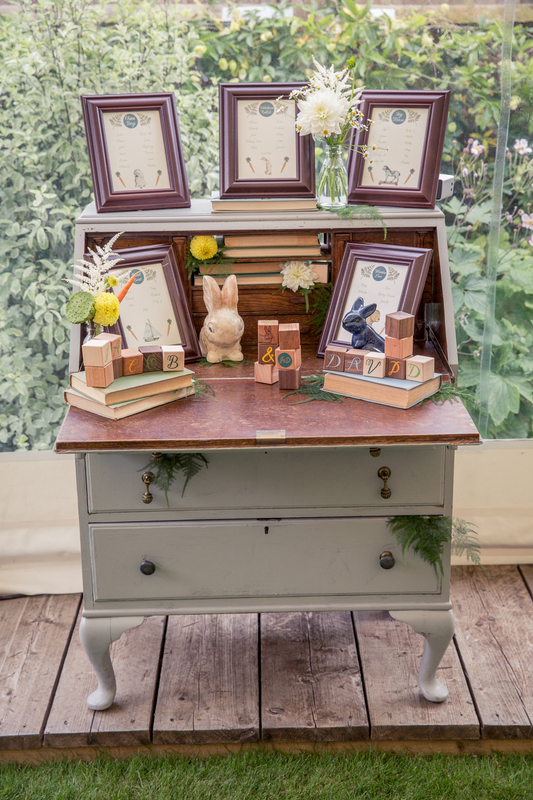 With welcome drinks served from a vintage drinks dispenser and poured into jam jars, guests first had their photos taken against a hessian backdrop that showcased pages from the Velveteen Rabbit, applied in different papers. 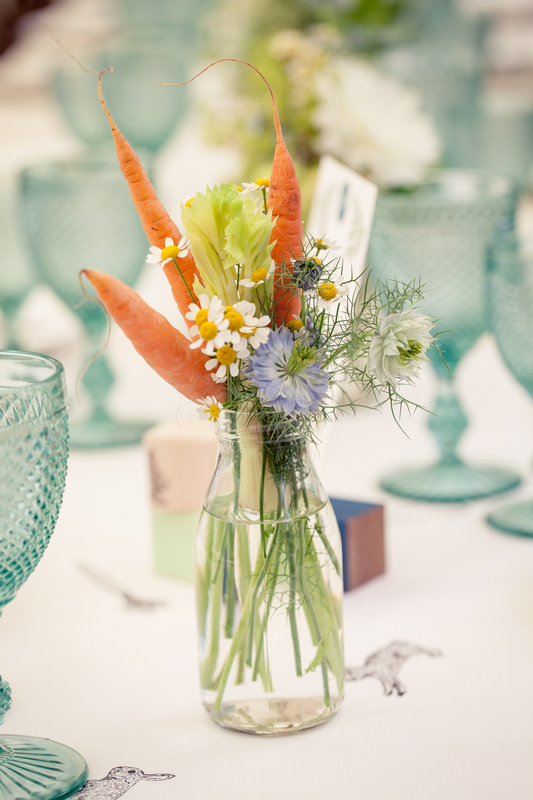 The food and drink perfectly complemented the theme, with terracotta pots of hummus and carrots, and artisan breads served as nibbles during welcome drinks. 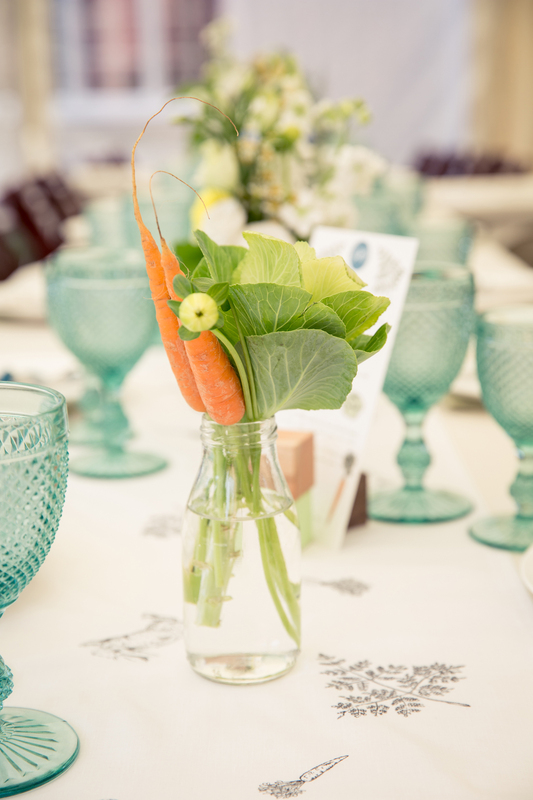 The courses were serve on hand-crafted wooden platters, finished with edible flowers for a taste of the garden. For dessert, a two tier illustrated cake sat centre-stage. 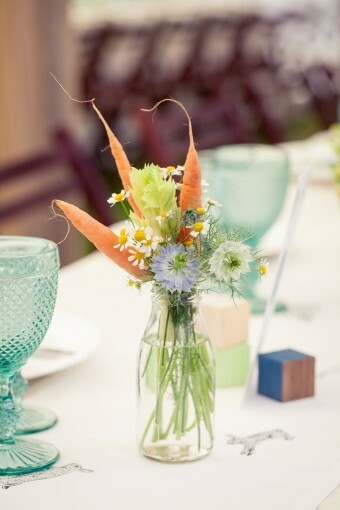 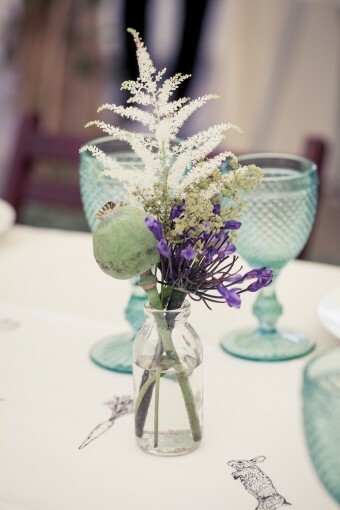 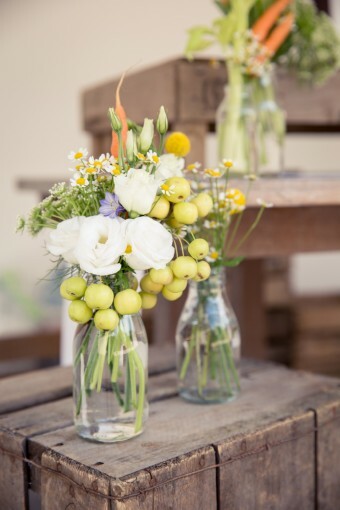 Flowers also took inspiration from the rabbit theme with carrots upturned in milk bottles, asparagus ferns and celery sticks, mixed in with a wild flower look and feel. 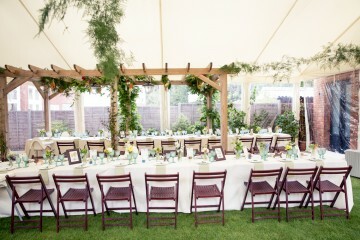 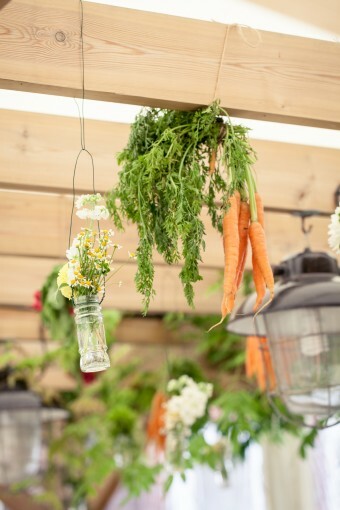 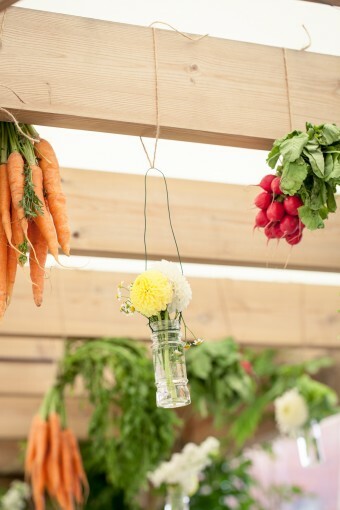 Hanging from a wooden pergola, further flower bottles and bunches of carrots and radishes created a beautiful garden gathering. 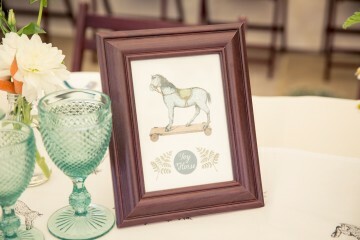 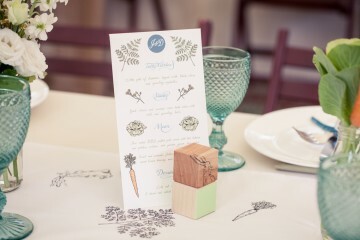 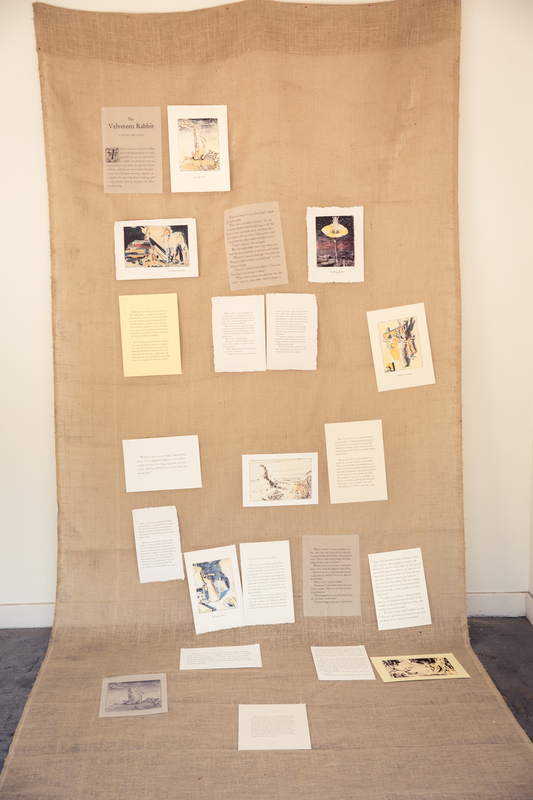 The table plan was named after different characters from the book with beautiful illustrations commissioned by Knot & Pop. 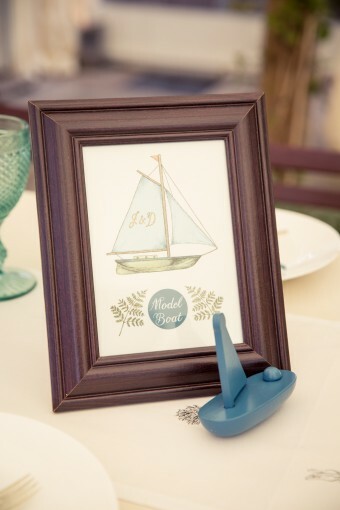 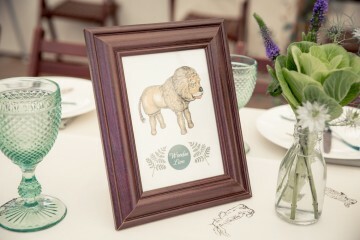 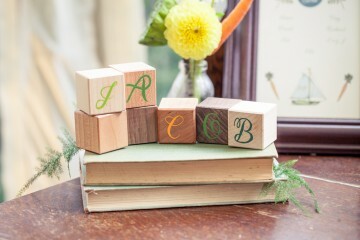 These illustrations were also applied to wooden toy blocks, painted in highlight colours, and scattered across the custom-made illustrated table runners. 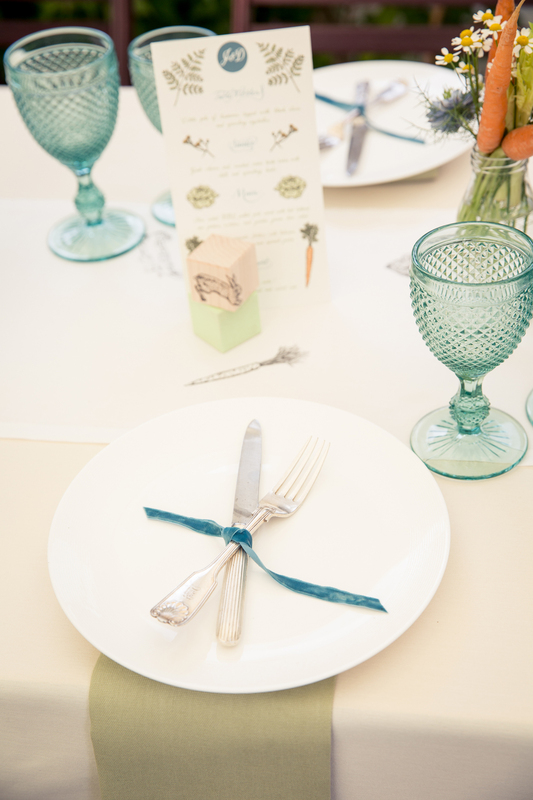 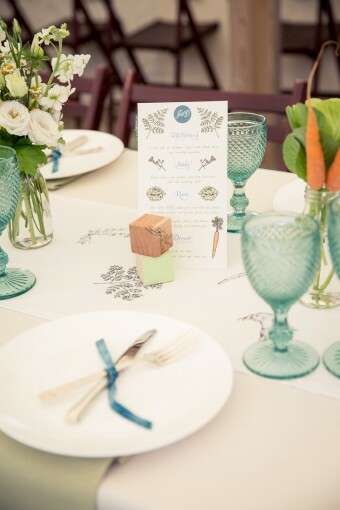 Gorgeous turquoise glassware mixed with silver vintage cutlery, tied with blue velvet ribbon with luxurious olive napkins, tucked under beautiful chinaware. 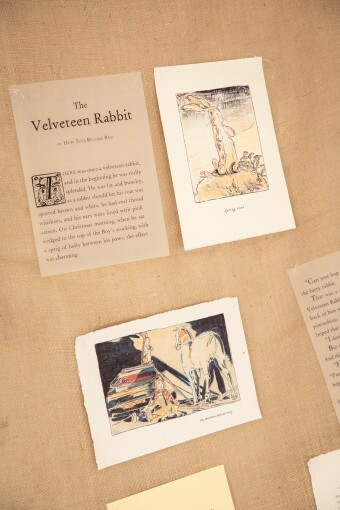 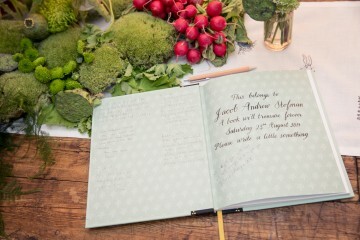 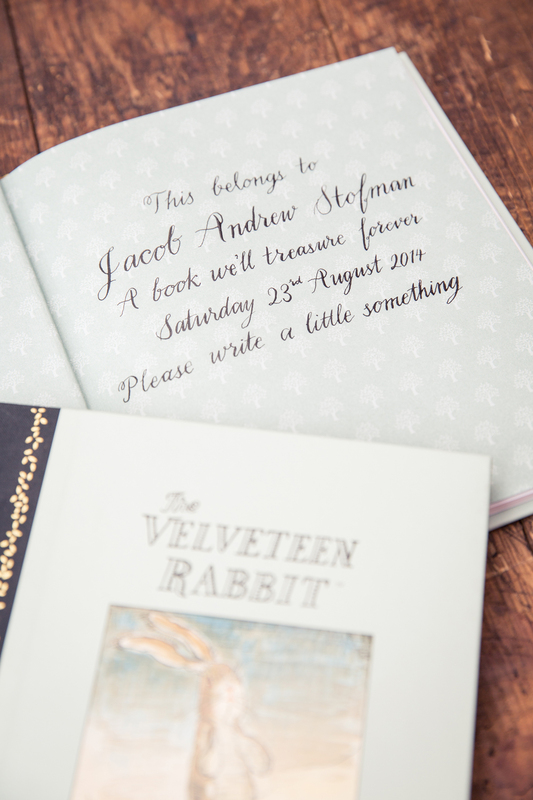 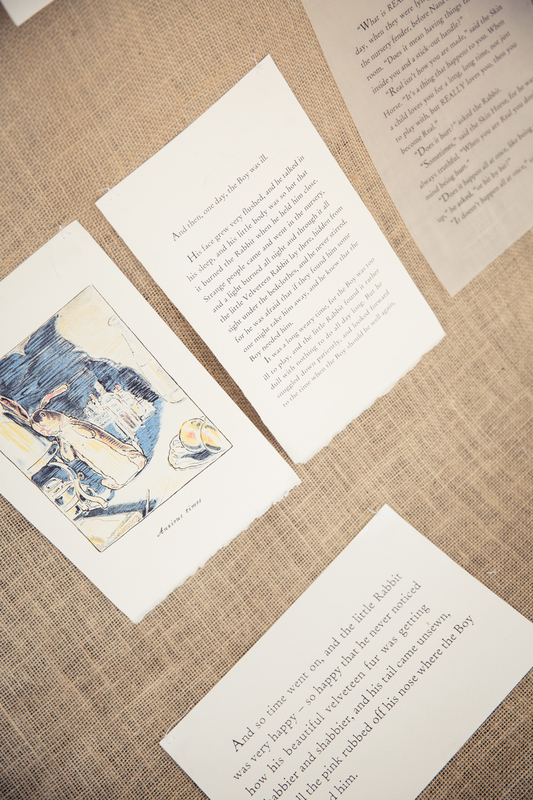 As keepsakes, two hardback copies of the Velveteen Rabbit were inscribed with a message to the sons and signed by all of the guests at the luncheon to mark a day to remember.